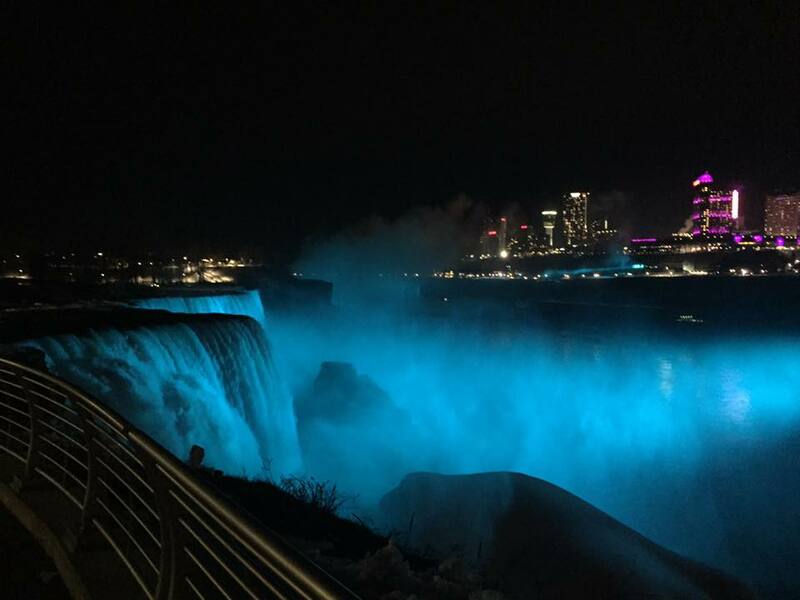 "I want a cure," she said. "And not just a cure, but a cure that reverses lymphedema. But how can we get through this wall of indifference to get there? Only those of us in this room who have LE and LD know what it's like to live with it. No one can understand what we face every day." And just a few weeks ago, Ms. Bates, together with LE&RN President and CEO William Repicci, wrote to LE&RN Supporting Members and other activists, imploring them to give generously to LE&RN's year-end appeal to ensure that LE&RN can continue to make the progress that Supporting Members and Sponsors could proudly take credit for in 2018. If you haven't yet contributed to this year's campaign to fight LE and LD, please take a moment to do so now. And to Supporting Members and those who have contributed, you are the reason the fight will continue in 2019 and beyond. For the second year, LE&RN supporters will gather in our nation's Capitol to ensure that our community is heard. On Friday, March 29, Kathy Bates will lead a group of activists for a Lobbying Day on Capitol Hill. 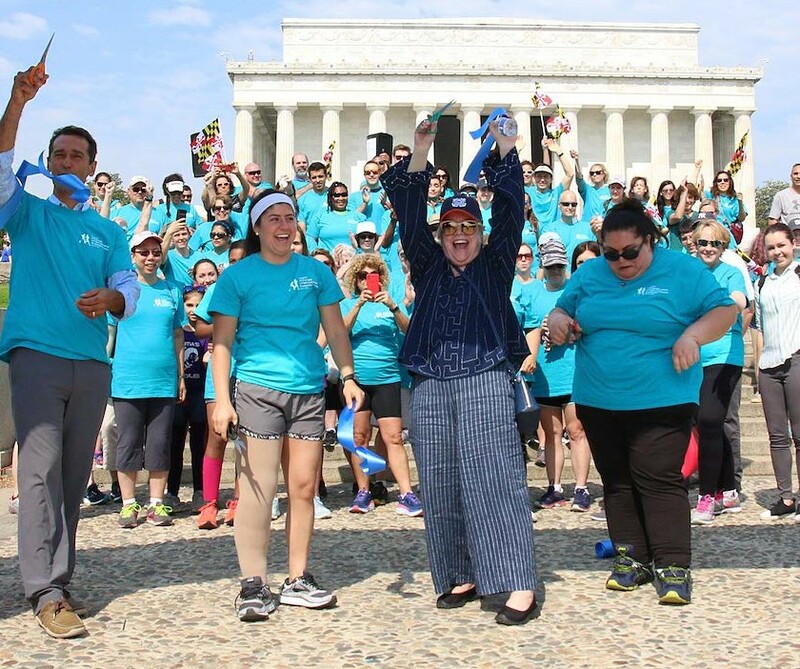 The next day, we will meet on the steps of the Lincoln Memorial for the 2019 DC Walk and Rally to Fight Lymphedema & Lymphatic Diseases. Look for details on these exciting events in your in-box in January. LE&RN is proud to present the groundbreaking CME Seminars for Physicians: Lymphatic-Vascular Disease: Diagnosis &Treatment, developed in association with Lymphedema Seminars. These courses are an exciting and convenient on-line educational portal for physicians for understanding the interplay of the lymphatic and vascular systems as related to patient health. Both Level 1 and Level 2 are offered together for just $99, and signing up on-line is quick and easy. In 2016, LE&RN asked the U.S. Senate to recognize March 6 as World Lymphedema Day. The governing body passed the resolution in a unanimous vote and World Lymphedema Day was born. For more information on World Lymphedema and how you can get involved, just visit www.WorldLymphedemaDay.org. 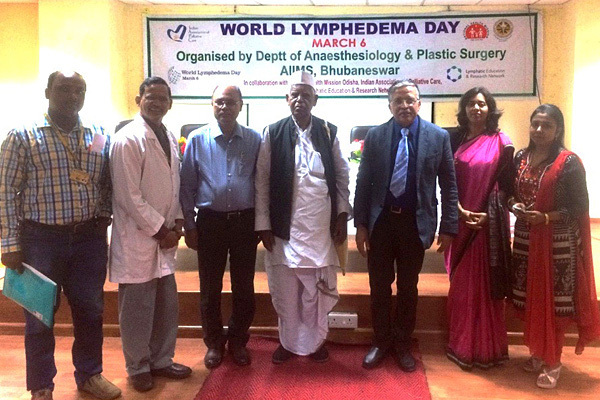 Thanks to the efforts of LE&RN's India Chapter (members pictured at right at a 2018 World Lymphedema Day event), LE&RN will sponsor the 12th Annual Conference of Venous Association of India January 17-20. LE&RN Council Member Dr. Peter Mortimer (St. George’s University, London) will keynote and President & CEO William Repicci will speak on a panel focused on lymphedema. On January 21, LE&RN will sponsor Dr. Mortimer to speak at the International Compression Club conference, in Hyderabad, India. LE&RN India Chair, Arun Rekha, has further arranged a seminar for up to 100 physicians in Bhubaneshwar, where she and Mr. Repicci are featured speakers. Dr. Mortimer and Mr. Repicci will speak at the 9th National Colloquium in Kasaragod, hosted by Dr. S R Narahari, Director of the Institute of Applied Dermatology. Lymphatic filariasis (LF) will be a key focus. Volunteers are needed for a lymphedema and lipedema research study at Vanderbilt University in Nashville, TN. They are enrolling women who have lymphedema in a leg following cancer treatment and are comfortable in an MRI scanner. This research study is funded in part by grant support from the Lymphatic Education & Research Network and the Lipedema Foundation. For more information, visit LE&RN's website.